After severe weather, the intensifying of Muller’s investigation and the longest government shutdown in our nation’s history (no telling when the next one could be coming), 2019 has started off with a bang! It is hard to catch one’s breath with all the news stories that has us questioning whether the nation is moving backwards with fairness and equality. CLGS’s African-American Roundtable (AART) continues to move forward in its work for justice in Michigan and nationally. 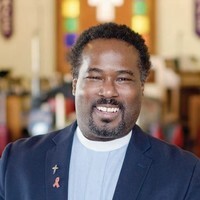 On January 7, faith leaders in Michigan praised the newly elected Democratic Governor Gretchen Whitmer for issuing an executive directive which aims to prohibit discrimination against LGBTQ people. Whitmer’s executive order provides nondiscrimination protections to LGBTQ Michiganders who serve as state employees, state contractors or provide public services to the state of Michigan. In its national partnership with Freedom For All Americans, AART is scheduling meetings with religious leaders and federal policymakers about the harms caused by discrimination and the need for a federal response to anti-LGBTQ discrimination. We are supporting members of Congress in their effort to call attention to this important issue, like Representative Rashida Tlaib of Michigan’s 13th District, in a public forum scheduled for later this month. You can participate this national sign-on campaign that is gaining momentum by clicking here. Using the Umoja and Liberating Religious Liberty curriculums, AART will ensure that each religious leader who meets with a representative from the US Congress can concisely speak to the importance of nondiscrimination protections and the reasons why onerous religious freedom exemptions are unnecessary. As religious leaders, we are all called to work toward unity and peace in our communities, which includes protecting LGBTQ people from the scourge of discrimination. This is the vision for fairness and equality we have for this year and beyond as we are encouraged by the work of dedicated people both near and far.